Disney’s Boardwalk Resort features an early 1900’s Atlantic Seacoast theme. 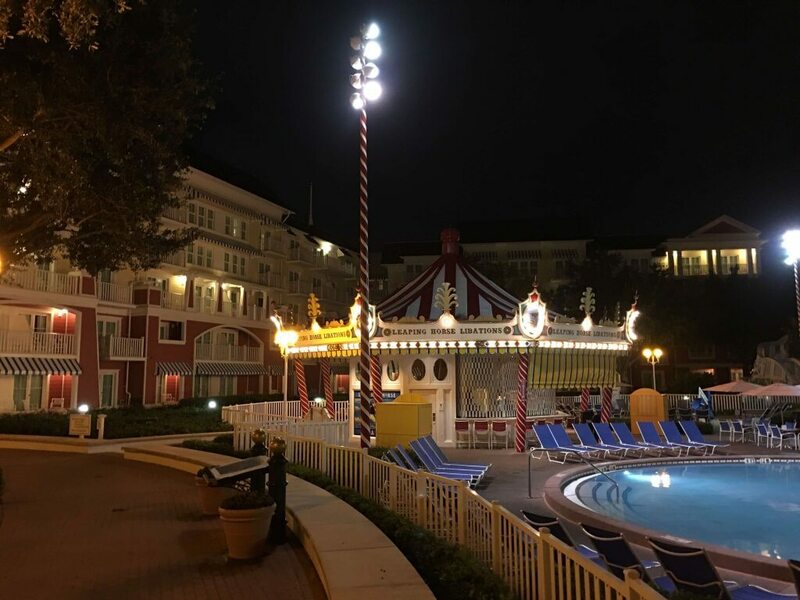 The resort has a festive Coney Island-style Boardwalk atmosphere and many favorite dining and night time entertainment options including the ESPN Zone and dueling piano bar, Jelly Rolls. The Boardwalk also features one of Disney's Signature restaurants, Flying Fish where patrons can enjoy premium seafood and prime steaks. The pool area known as Luna Park is carnival-themed and includes a large waterslide, Keister Coaster. Guests can walk into Epcot and take a short boat ride to Hollywood Studios. For information, please see Guide to Disney's Boardwalk Resort. Studios feature kitchenette with microwave oven, under-counter refrigerator, wet bar, coffee maker, ceiling fan, TV, hair dryer and high-speed internet access. Private porch or balcony. One queen-size bed, one pull-down bunk size bed and a double-size sleeper sofa. The average studio offers 359 square feet of living space. Features a fully equipped kitchen, washer/dryer, ceiling fans, TV in each room and VCR in the living room. Master suite features a king-size bed, a whirlpool tub, hair dryer and high-speed internet access. Queen-size sleeper sofa in the living room. Private porch or balcony. – 712 square feet of living space. * Fifth guest can be accommodated, but must provide their own bedding and linens. Features a fully equipped kitchen, washer/dryer, ceiling fans, TV in each room and VCR in the living room. Master suite features a king-size bed, a whirlpool tub, hair dryer and high-speed internet access. Additional bedroom offers private bath with hair dryer, queen-size bed and double-size sleeper sofa. Queen-size sleeper sofa in the living room. Private porch or balcony. – 1,072 square feet of living space. Features a King-size bed in master bedroom, two queen size beds in two additional bedrooms, Queen-size sleeper sofa in living room, three bathrooms, Whirlpool tub in master bathroom, Flat panel TV and DVD player in living room, Flat panel TV in master bedroom, Fully equipped in-room laundry area with washer and dryer and private balcony.